Girls' Generation's YoonA and SHINee's Minho stunned with their visuals and fashion sense in 'Harper's Bazaar'. Back in March, YoonA and Minho took over Paris with their amazing looks at a 'Givenchy' fashion event, where the 'Harper's Bazaar' photoshoot took place. 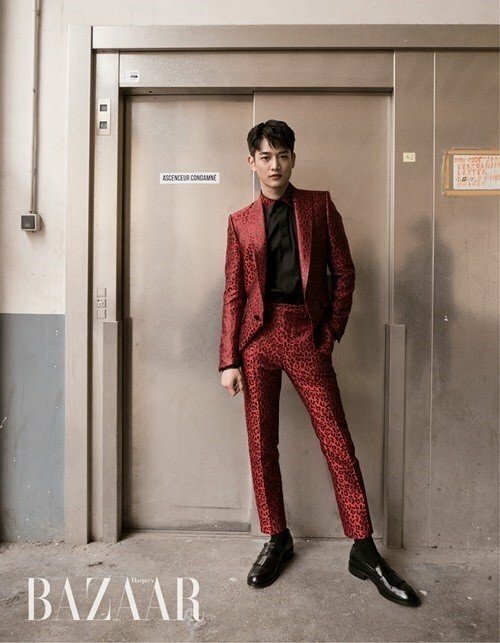 While YoonA showed off her elegance with high boots and a dress mixed with red and black, Minho took on a sharp and clean look with a pair of red dress pants and jacket for their individual photos. In a monotoned photo together, the two are seen walking down the streets with their black jackets, glaring at the camera, oozing charisma. You can catch more of YoonA and Minho in the magazine's June issue, official website, and Instagram.